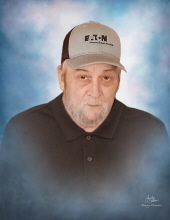 Celebrating the life of Thomas Roy Drake, Sr.
Obituary for Thomas Roy Drake, Sr.
Funeral services for Thomas Roy Drake, Sr. will be held on Thursday, April 4, 2019, at 2:00 PM at Jeane’s Funeral Service, Leesville, LA with Reverend Buddy Freeman officiating. Burial will follow in Canaan Cemetery under the direction of Jeane’s Funeral Service. Visitation will be held on Wednesday, April 3, 2019 from 5:00 to 9:00 PM and then again on Thursday from 12:00 PM until time of service at Jeane’s Funeral Service. Thomas Roy Drake, Sr. was born on November 18, 1955 in DeRidder, LA to Norman and Lela Stracener Drake. He passed away on April 1, 2019 in Many, LA at the age of 63. He served his country in the United States Army and afterwards pursued a career in electrical work. Mr. Drake rode motorcycles, and he never met a stranger. He enjoyed fishing, hunting, and gardening. Mr. Drake also liked to watch old westerns, his favorite being Gun Smoke. He loved his grandbabies very much and will be greatly missed by all. He was preceded in death by his parents, Norman and Lela and his brother, Ronnie Drake. He is survived by his loving wife of 22 years, Sharon Drake. sons: Tommy Drake of TX, Joshua Drake and wife Shelly of Many, LA, Tyson Drake and wife Anna of DeRidder, LA and Daniel Drake of Many, LA. brother: Harvey Drake of Rosepine, LA. To send flowers or a remembrance gift to the family of Thomas Roy Drake, Sr., please visit our Tribute Store. "Email Address" would like to share the life celebration of Thomas Roy Drake, Sr.. Click on the "link" to go to share a favorite memory or leave a condolence message for the family.